Domain Validation SSL Certificates are affordable and easy to set up, but in an ideal online world, all the websites that accept payments should use an Extended Validation Certificate. The EV SSL authenticates the company behind the online business. From the organization’s name to the certificate type and connection, everything is transparent. The EV Certificate protects the website from phishing attacks and offers the highest level of trust. When you see the famous EV Green Bar next to a website’s URL, you can submit your personal information and credit card details with peace of mind. Unfortunately, not every business can afford or is willing to spend extra money on Extended Validation SSL Certificates. For many online stores, a Business Validation Certificate is the most viable SSL solution. When browsing such e-commerce stores, visitors can’t determine straightaway the SSL validation type. 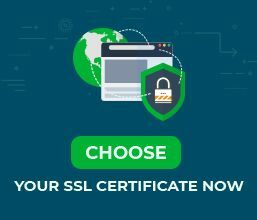 If the Extended Validation Green Bar is absent, users need to click the green padlock icon to learn more about the SSL Certificate. Let’s say you’ve stumbled on a website the other day which sells a digital product you’ve been searching for months. It’s not a cheap product, but you’re willing to spend what it takes. The website has a secure connection, but upon further investigation, you discover that it’s Domain Validation Only. It instantly rings a few alarm bells in your mind. Should you continue with the purchase? Are your personal details and money at risk? To avoid being scammed, do a comprehensive research. Domain Validation SSL Certificates alone aren’t the only indicator of a reliable or unreliable website. Check the web for product reviews and complaints. Use fraud prevention resources such as scam detectors. Ask for help on relevant forums. If the website isn’t blacklisted anywhere and comes clean in the scam detector, you’re good to buy from it. You can further reduce the chances of being cheated on Domain Validation websites, by adding a strong security filter. Send your hard earned money only to websites that are using a paid DV SSL Certificate. 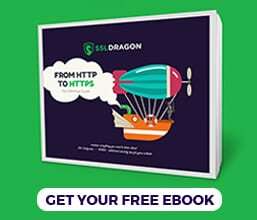 Make sure it is issued by a reputable Certificate Authority such as the ones you can find on SSL Dragon. Avoid the websites with self-signed SSL Certificates. You can’t trust them because the entity could always update them to a valid date range. Browsers inherently don’t trust Self-signed certificates. Ultimately, a bit of perspective is always necessary when making a distinction between the safety of DV and EV SSL Certificates. You would expect all the financial institutions, enterprises and e-commerce giants to employ an Extended Validation SSL Certificate on their websites. The volume of traffic and daily transactions on these platforms could be in the range of hundreds of thousands if not millions. Your spending amount on such websites could be extremely high. On the other hand, if a blogger you’ve followed for years, launches a new online course and uses Comodo Domain Validation SSL Certificates to sell it, you can go and buy it without hesitation. The same applies to small businesses and membership websites. A Domain Validation SSL Certificate is still miles better than nothing. It just requires more investigation on your part, in order for you to remain on the safe side.